On friday July 13th, the fourth TYPO3 Certifuncation took place at the Phantasialand near Cologne. Nearly 450 participants from all over the world joined this awesome event to (re-)certify and to have fun. Read on for my recap of this event. 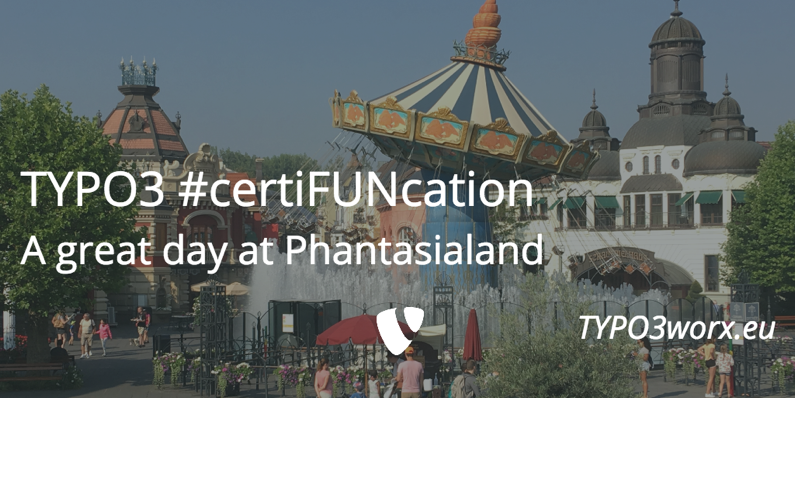 The basic idea behind the TYPO3 Certifuncation is to combine making certifications and to have fun in the amusement park “Phantasialand”. The basic ticket includes the park entrance, food and drinks and one certification. The other three could be booked additionally. It was also possible to bring family, friends and colleagues to join the event and the them feel the spirit of the TYPO3 community. 438 community members from all over the world filled the audience in the Quantum building for the opening. This time “all over the world” is the right term: The participant with the longest trip came from Ecuador in Central America. Second and third place was taken by friends from the Ukraine and Spain. I really like it that the community is getting more and more international again :-) And I hope that you all felt welcome, even if the majority was from germany. The opening started with a big hello by Boris Hinzer and the obligatory “Nerd Shirt Contest”. The winner was the “50 Shades of Grey” shirt, which was also my favorite. The warm welcome by our Mr. President Olivier Dobberkau (@t3revnevernd) was followed by the keynote. The statement is / was that “Not every ranking problem is a Penguin or Panda”. Jonas Weber (@jonasweber_com) showed us what the intention of Google was. He showed us the major updates from the recent years and the consequences they had. For each update there was an corresponding example accompanied by an advice for the daily work. His talk about SEO and Google is available on youtube. I can really recommend to watch this talk. The first mandatory talk for all who wanted to re-certify themselves was the talk by Mathias Schreiber about the new features and changes in TYPO3 version 9. These are too many to name them here at the moment … but … I will cover it with some posts in the near future. The talk is available at Youtube here. It was possible to re-certify an existing exam by watching two mandatory talks. In order to get a new certificate or, if your existing certificates was too old (like mine), it is necessary to take a written exam. In parallel to the talks all available TYPO3 certifications were offerend. From the pictures, I saw, all certifications were all very crowded and nearly completely booked. I heard, that (due to the new process and responsibilities) it is planned to publish the results in the next few weeks . At this point, I want to thank the TYPO3 Education Team for their (spare) time and their dedication to make this happen so fast! Another big part of the event was to solcialize, meet old friends and make new ones. This was quite easy due to location and the weather. On the way to lunch at the hotels “Ling Bao” and “Matamba” there was the chance to take already one or the other ride. At the rich buffet everybody found something for the own taste. After the talks and the certification the roller coaster “Black Mamba” was exclusively available to the participants of the #certiFUNcation … no waiting queue … just ride the “Black Mamba”. Personally said, I really like roller coasters and cannot get enough from it. In parallel the social event started at the “Stock’s” location right across the street from the main entrance with a huge buffet (again), perfect service and good music. After 11 p.m. the party people moved to the roof top bar at the hotel Ling Bao … the rest (like me) headed for their hotel and went to bed. So come yourself in the next year and / or send your employees for making their certifications and having fun! This time, the blog post image was taken by myself, while waiting in the queue for registraion. 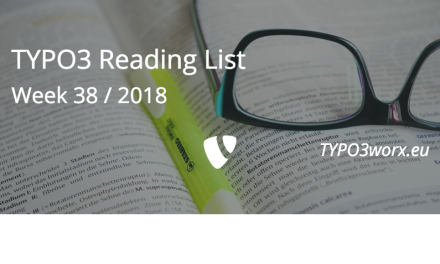 TYPO3 CMS Certified Developer – Get prepared!